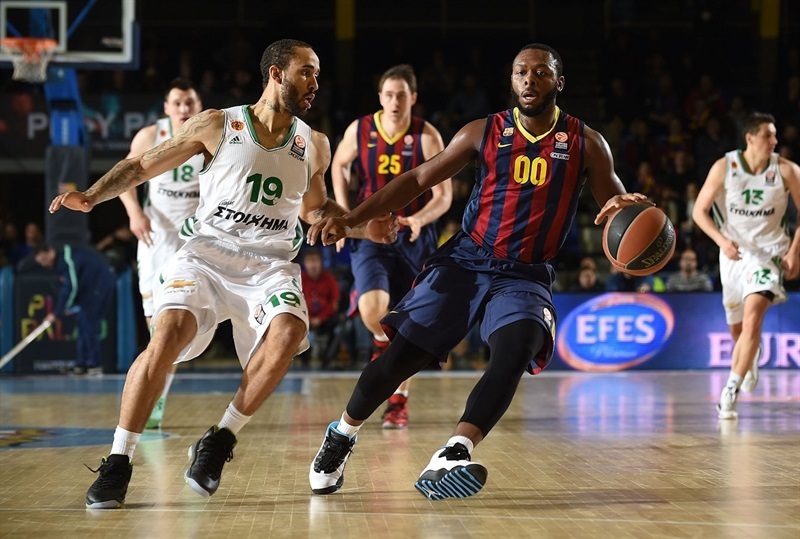 In a battle between Turkish Airlines Euroleague giants, FC Barcelona locked up first place in Top 16 Group E by downing Panathinaikos Athens 84-62 at home on Friday. Barcelona improved to 12-0, registered its 24th consecutive Top 16 win and its 31st straight Top 16 home triumph - both all-time Euroleague records. 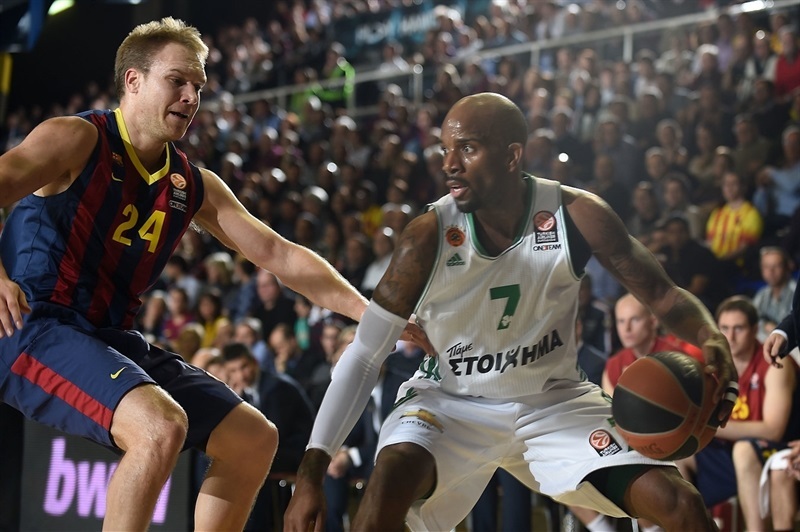 Panathinaikos dropped to 6-6 and a tie with archrivals Olympiacos Piraeus for third place in the Group. Erazem Lorbek and Alex Abrines scored 15 points apiece to lead the winners, while Ante Tomic added 11 points and 9 rebounds. 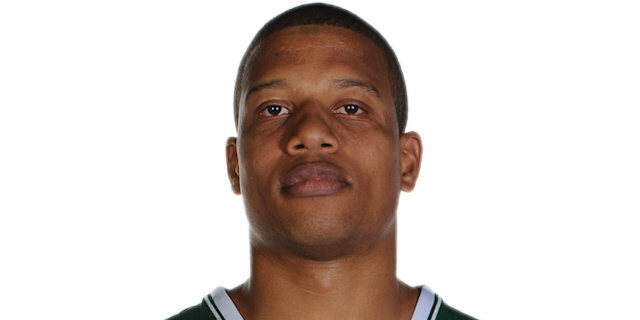 Roko Ukic led Panathinaikos with 13 points and Dimitris Diamantidis added 11. Ukic shined early and got help from Dimitris Diamantidis and Mike Batiste to give Panathinaikos a 14-15 edge after 10 minutes. 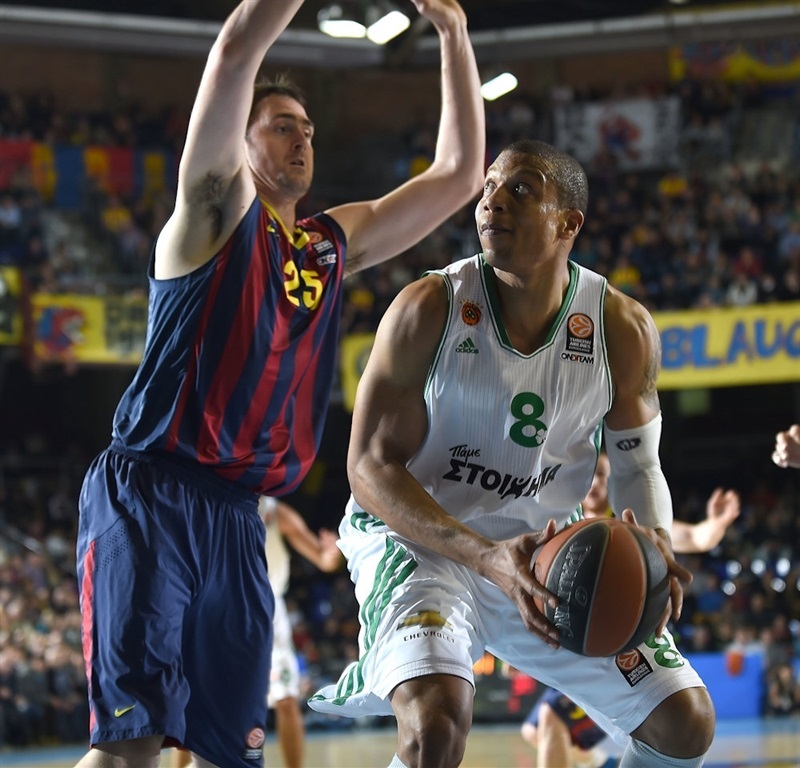 Batiste gave the Greens an 18-22 edge, but Barcelona improved its defense while Brad Oleson, Jacob Pullen and a three-pointer by Juan Carlos Navarro helped the hosts make it a double-digit game, 42-32, at halftime. Navarro took over after the break, getting plenty of help from Lorbek and Joey Dorsey to boost the hosts' lead to 64-46 through three quarters. Nothing changed since that moment, as Barcelona kept a safe margin until the final buzzer. Roko Ukic got Panathinaikos going with a layup off a midcourt steal. Ante Tomic quickly answered with a put-back slam, but Ukic answered from downtown for a 2-5 Panathinaikos lead. Tomic kept pushing Barcelona with a put-back layup that a red-hot Ukic erased with a driving basket. Tomic shined with a tip-in, before Stephane Lasme scored down low. 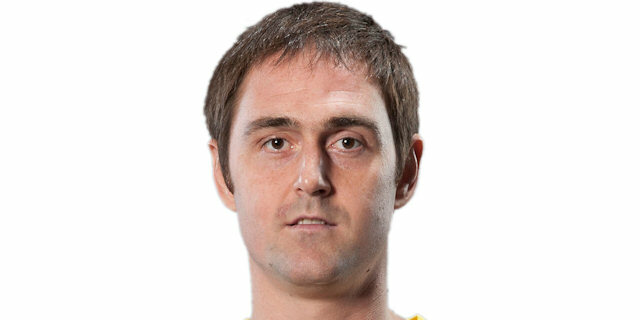 A layup by Erazem Lorbek kept Barcelona within 8-9. Mike Bramos took over with an electric fast break layup. Kostas Papanikolaou hit an off-balance shot in the paint, but a wild driving basket by Dimitris Diamantidis gave Panathinaikos a 10-13 lead. 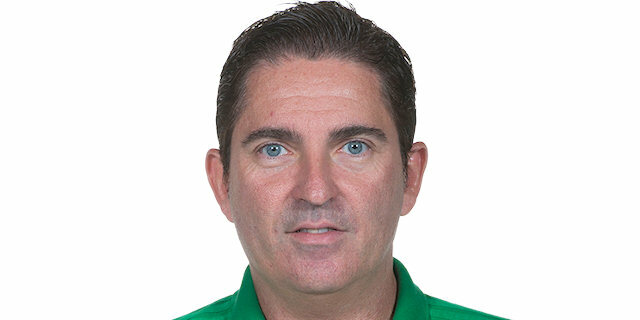 Barcelona kept missing open shots and head coach Xavi Pascual brought in Brad Oleson and Bostjan Nachbar to open the floor even more. Joey Dorsey split free throws, but a five-meter jumper by Mike Batiste gave the Greens an 11-15 edge. 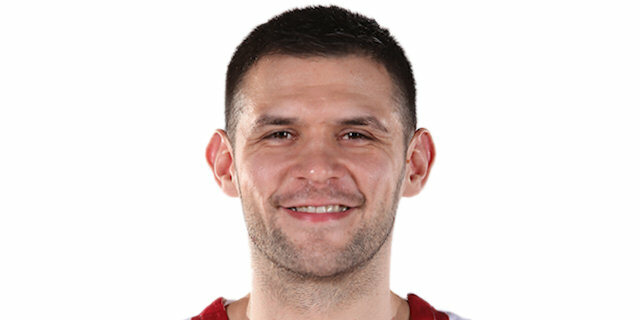 Papanikolaou answered from downtown to keep Barcelona within 14-15 after 10 intense minutes. Victor Sada scored around the basket early in the second quarter, but a step-back jumper by Ramel Curry put Panathinaikos back ahead, 16-17. Papanikolaou and Nachbar split foul shots before Diamantidis struck from downtown and a layup by Batiste made it a 4-point game. 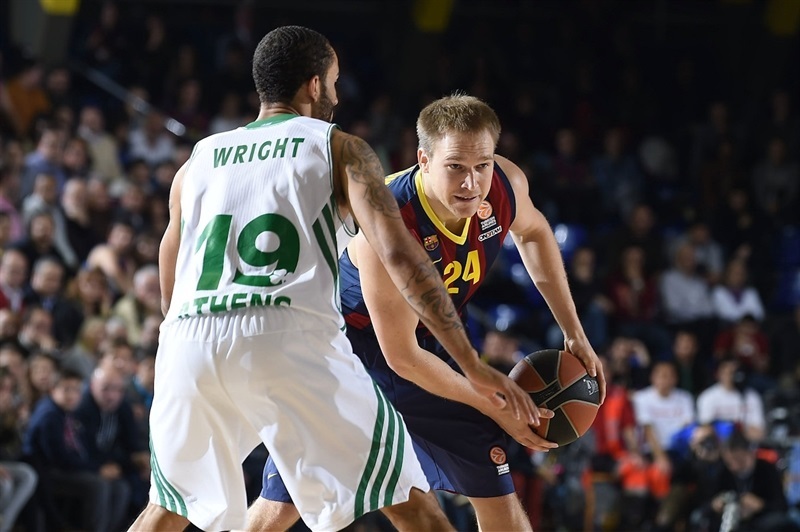 Maciej Lampe made free throws, which Lorbek followed with a catch-and-shoot triple for a 23-22 Barcelona edge. 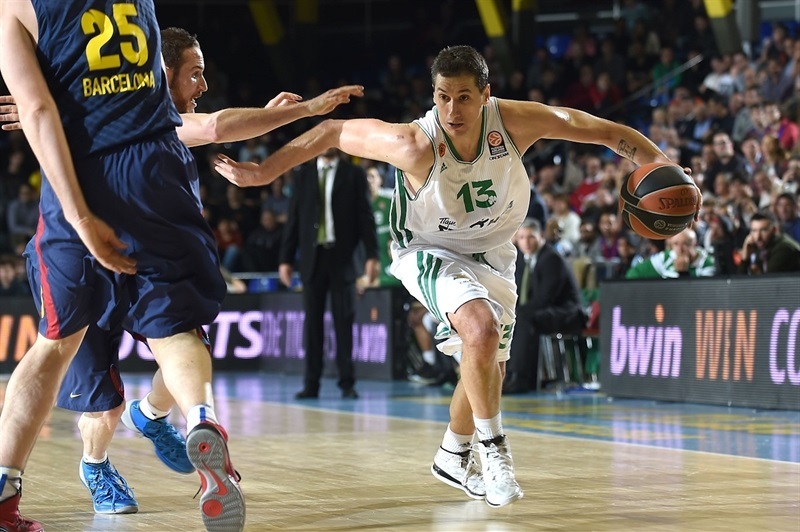 Diamantidis hit a mid-range jumper that Oleson bettered with a three-pointer. Both teams were in the foul penalty and tried to get to the free throw line often. Lasme hit 3 of 4. Alex Abrines sank a jumper and Lorbek split attempts for a 29-27 score. Abrines scored around the basket and a driving layup by Jacob Pullen gave Barcelona a 6-point edge. After Ukic hit foul shots, Tomic took over with an alley-oop slam. A three-pointer by Pullen caused the guests 1o call timeout at 38-29. 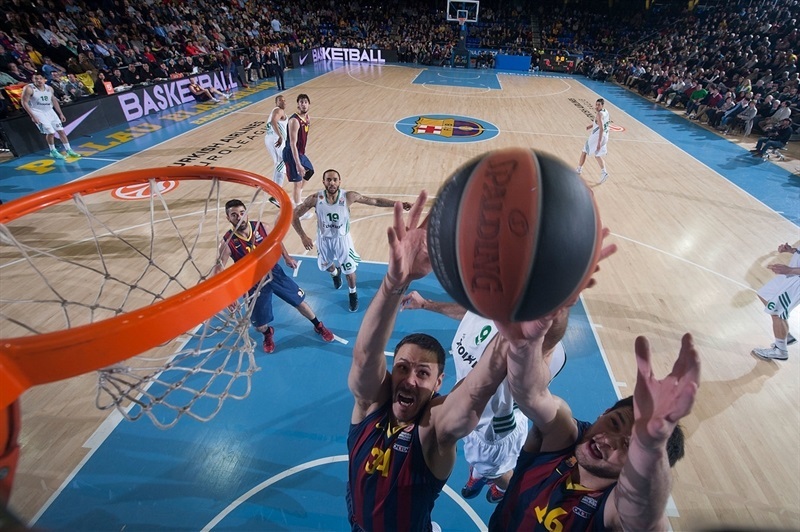 Diamantidis split foul shots and Lasme shined with a big basket in traffic, but Tomic and a big triple by Navarro gave Barcelona its first double-digit lead, 42-32, at halftime. Navarro struck from downtown immediately after the break and soon added an amazing no-look "bomba" for a 47-32 lead. Ukic scored in penetration, as Panathinaikos tried to stretch the floor with three-point specialists Bramos and Antonis Fotsis at forward. Bramos made free throws that Lorbek bettered with a three-point play. 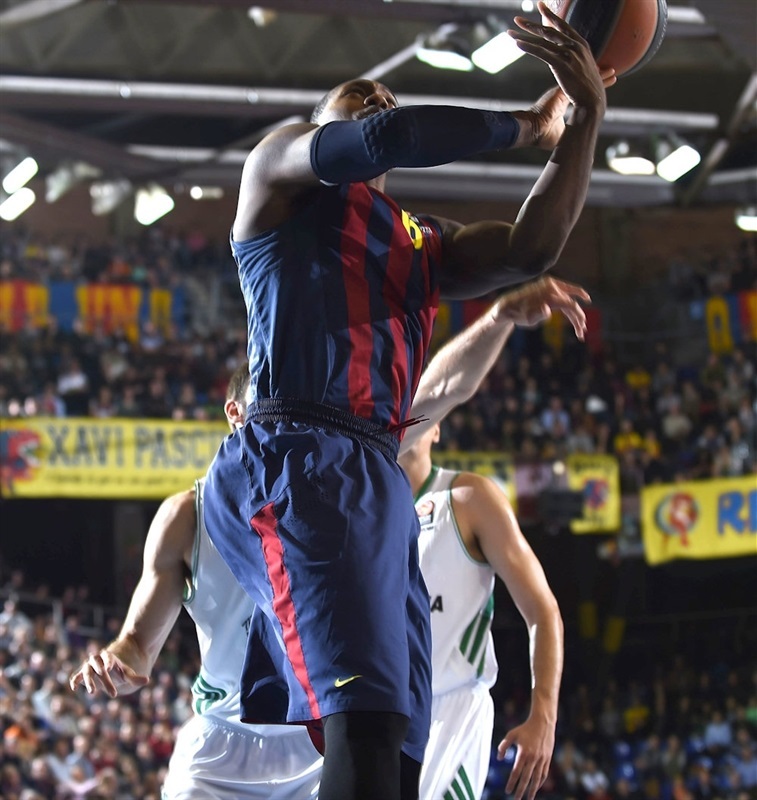 Ukic scored again, but back-to-back layups by Lorbek and Tomic kept Barcelona way ahead, 54-38. Bramos shined with a fast break slam only to see Tomic feed Marcelinho Huertas for an uncontested layup. Fotsis buried a three-pointer, before an unstoppable Lorbek hit a five-meter jumper and a put-back basket by Dorsey made it a 17-point game. Barcelona was all over the place on defense, not allowing any open shots. Meanwhile, a layup by Huertas broke the game open. A jump hook by Dorsey and a three-pointer by Batiste fixed the score at 64-46 after 30 minutes. Nachbar sank a six-meter jumper early in the quarter, as Panathinaikos tried to speed up the game tempo. 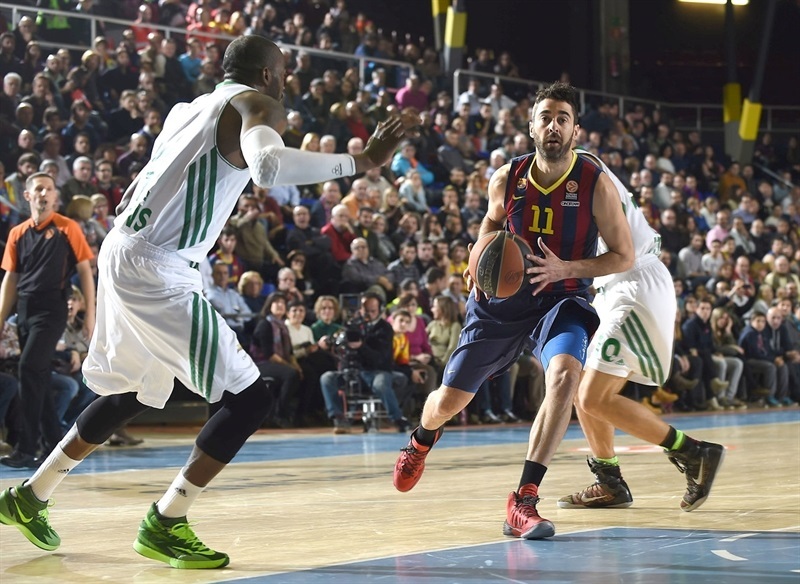 Barcelona kept excelling on defense and a three-pointer by Abrines sealed the outcome. James Gist scored around the basket and soon added a jump hook to make it 69-52. Abrines insisted from downtown. Lasme hit a baseline jumper, which a red-hot Abrines matched with a six-meter jumper for a 74-54 Barcelona lead with over four minutes left. Gist hit a three-pointer and Lampe sank a jump hook. 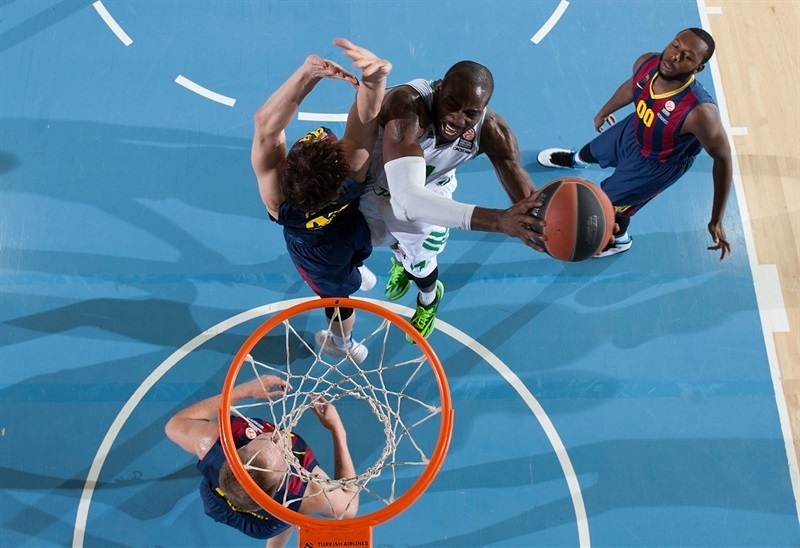 A dunk by Gist brought the Greens within 76-59. But it proved to be too little, too late as the Barcelona fans had plenty of time to celebrate that their team had reached another goal - being first in Group E.
"We are happy with this very important win for us against one of the best teams in the competition. It is a win which allows us to look to the future and wait for our playoffs opponent from this group's first place. We did it in a group which everybody thought was really difficult. We are very happy with what we achieved today, winning at home and playing a very good game. We played really well on defense, not allowing Panathinaikos to circulate the ball. We also did well on offense, especially from the second quarter. We broke the game open in the third quarter. We are happy to clinch first place with two games left in the Top 16. We are in a very good moment and have to carry on playing like this, playing team defense and sharing the ball. It looks easy, but it is very difficult to use 12 players at this level. All of our 14 players are playing at a good level and I have to be happy about it." "I believe that our last three quarters were the worst we had until now. We lost control after the first quarter and didn't do anything that we had planned. We lost a lot of rebounds, didn't play good defense and Barcelona was faster than us. We have to improve and play the way we did in previous games, because we are facing a very important game in Athens next week. If you just look at the scores, you can see how talented Barcelona and all of its players are. It is a well-built team and showed it on the court tonight." " It is very important game for the team because today we secured the first position in the Top 16. That is the most important. Playing at home you always feel more confidence and feel better. But also this crowd does not stop cheering for us for 40 minutes. That is something very important for a player to hear them all the time. If the things go good or bad, it does not matter to them. They keep singing, they keep helping the team, and this is very beautiful and I want to thank them from the bottom of my heart, and everybody on this team feels the same." " We are first, and also playing good. What more can you want? Being first was the goal before the season started. We wanted to play solid, last couple of games we managed to improve our shooting. We feel better and better, the chemistry is great, we understand each other as teammates. We are playing good right now." " The first 3 to 5 minutes in the third quarter really separated them from us. Because Navarro came out, scored a layup, a three-pointer that put us down 15, and it was tough for us to come back and try to play in the game. We will learn from it, we will watch video, we will see the bad things we did, and we will improve. This is a long season, we lost but it is not the end of the world. Next week is a final for us, at home against Unicaja Malaga. If we win, we advance to the next round. Right now, that is all we are looking forward to. Hopefully, we will get a chance to see Barcelona down the road at the Final Four, and have another chance against them, but our only focus right now is on a game next week."